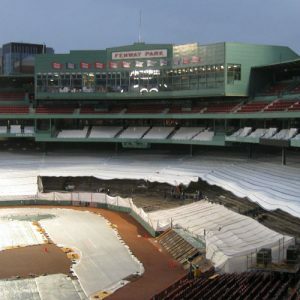 Fenway Park 1912 Seating Bowl Renovation – NER Construction Management, Inc. 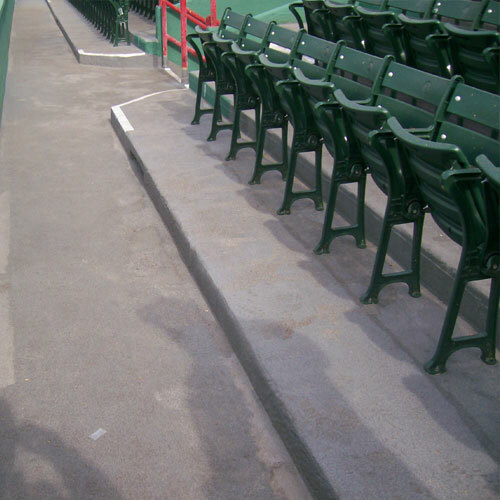 The Fenway Park 1912 Seating Bowl Repairs project consisted of the complete rehabilitation of the concrete stadium seating areas, upper concourse, lower concourses between the two dugouts and related mezzanines and ramps. The work encompassed over 80,000SF of historic concrete repairs to America’s Most Beloved Ballpark This scope of work had to be completed during the baseball off-season, which in Boston meant temporary protection, enclosures and heating. The Engineered Temporary Protection or “tenting” of the work area was one of the most critical aspects of the project because of the specified project requirements of 50 degree ambient temperature for the placing and curing of concrete repairs. 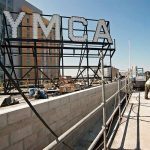 The enclosure covered over 50,000SF of work area and allowed more than 75 workers to provide selective demotion, concrete repairs, expansion join repairs, waterproofing and sealing. Because of the controlled work environment, work could be done during three shifts, seven days a week. Adding to the complexity under the tent, operations had to be coordinated with three to seven subcontractors. Architect: Wiss, Janney, Elstner Associates, Inc.
A variety of finishes and techniques were used to complete the work, including overhead exposed board formed finishes for isolated concrete patching of the 1912 concrete support structure. The original 1912 bowl also required partial demolition, cold-rebar deformation and patching of the original structure to meet architectural requirements for better sight lines, waterproofing above occupied areas, and drainage. Hydro-demolition of the existing 1934 concrete was also required for concrete overlay repairs, modifications to sight lines and waterproofing of support slabs over crawl space area. 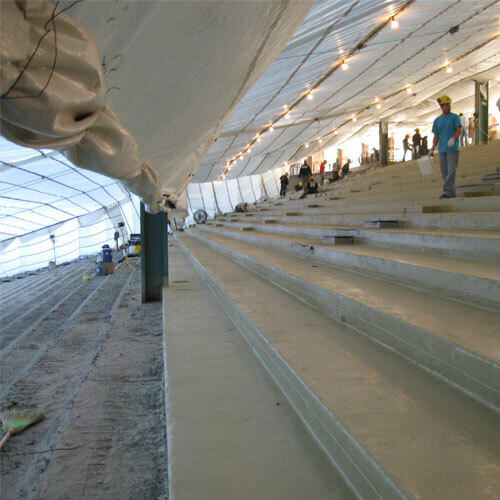 Multiple concrete waterproofing design executions were also needed, including split-slab hot applied waterproofing with two-stage drains, latex modified overlays at selective concrete ramps, traffic topping at both vehicular and pedestrian traffic areas, and new concrete surfaces with silane sealers.